Eleanor Ruth Wakeman, 94, of Kokomo, IN, passed away on September 22, 2018 into the arms of her Lord and savior Jesus Christ. Eleanor was born on a farm on June 22nd, 1924 in Chalmers, IN to Gerald and Lottie Marie (Strain) Mennen. She graduated from West Point H.S. in 1942 and worked at Duncan Electric during part of WWII. She graduated from Purdue University with a double major in Home Economics and Biology in 1948. On August 15, 1948 she married J. Richard Milner, who died on Feb. 12, 1963. Eleanor taught Jr. and Sr. High School for 36 years in Indiana including stops at Flora, Knox and LaPorte. She taught one year of college at St. Mary’s in South Bend. On August 6, 1966, Eleanor married Douglas G. Wakeman of Union Mills. He adopted her three children and preceded her in death on Sept. 6, 1996. Also preceding her in death were sisters Helen Vanderkleed (Hughes), Lucille Mennen, Thelma Guse, Velma Redding and brothers Donald and Paul Mennen. She is survived by daughter Pam (Clarence Vlasak), sons John (Bunny) and Robert (Peggy), 6 step-grandchildren, 8 great step-grandchildren and one great-great step-grandchild. Also surviving are brothers and sisters-in-law and many nieces and nephews and their families from both marriages. 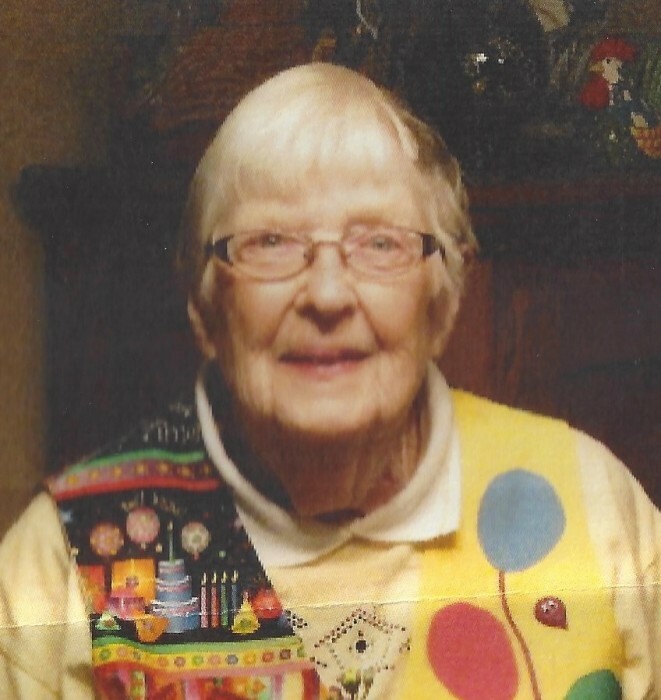 Eleanor was a 50+ member of Bethel Presbyterian Church where she served on several committees, Eastern Star, Farm Bureau, Union Mills Conservation Club, a Republican Poll worker and was a LaPorte County 4-H Fair judge. Eleanor mostly lived the rural life from childhood, including almost 50 years in Union Mills, until her move to Kokomo in 2015. She was an excellent homemaker with skills in cooking, baking, gardening, canning and freezing, sewing (both clothes and home items), knitting, cross-stitching, ceramics, toll painting, needle arts and quilting. She enjoyed traveling extensively both nationally and internationally. She loved visiting with family and friends, usually over a hot cup of coffee. She entertained and decorated her house with the changing of the seasons. She enjoyed cards, concerts and the theater. She was blessed with a strong work ethic and enjoyed keeping up with current events and her hobbies of cooking, sewing and quilting right up to her death. She was generous and kind with her time and talents, and had a life well lived. Services for Eleanor will be held at Bethel Presbyterian Church in Union Mills on Saturday, September 29, 2018 at 11:00 AM CST with interment in the Union Mills cemetery. Visitation will be at the Newhard Funeral Home in Westville on Friday, September 28, 2018 from 4:00 PM to 8:00 PM CST. In lieu of flowers memorials may be made to Bethel Presbyterian Church.